The international chocolate supply chain is so complex that even the most environmentally-minded chocolate lovers may struggle to hit the sweet spot of sustainability, according to new research from the University of Victoria. Sophia Carodenuto, an assistant professor of geography at UVic, is trying to unravel the tangled web of where chocolate comes from. She says part of the problem is the high number of players involved in taking chocolate from bean to box. "There's actually quite an elaborate process that has to happen [to make chocolate]," Carodenuto said. The main ingredient for chocolate, cocoa powder, comes from cacao trees which are grown in tropical regions near the equator. About 70 per cent of cocoa powder comes from West Africa. The cocoa beans go through a long process of grinding, cleaning and being turned into powder or liquor. Then it's sent to chocolate hubs in Europe like Germany, the Netherlands or Switzerland where it's manufactured. "You think that you're getting your chocolate from Amsterdam but it's actually coming from Ghana originally," she told Stephen Quinn, the host of CBC's The Early Edition. Ghana and Cote d'Ivoire are the two largest producers of cocoa and cultivate more than half the world's supply. Other big cocoa-producing countries include Nigeria, Cameroon, Brazil, Ecuador and Indonesia. Most of the region where the cocoa beans grow in West Africa are undergoing rapid deforestation. Up to 2.3-million hectares of forest have been lost in the West African cocoa belt, according to estimates used in Carodenuto's research. In countries like Cote d'Ivoire and Ghana, one fourth of all forest lost is due to cocoa production as trees are cut down to make way for cocoa crops. Cocoa farming doesn't have to lead to deforestation, Carodenuto said. Some variations grow more productively under a canopy tree cover but farms are moving more towards full sun cocoa. Even knowing the country of origin doesn't help much, Carodenuto added. One of the most surprising results of her research was the lack of information about cocoa farms in West Africa. Right now, there is currently no publicly available map of roughly two million cocoa farmers and suppliers. 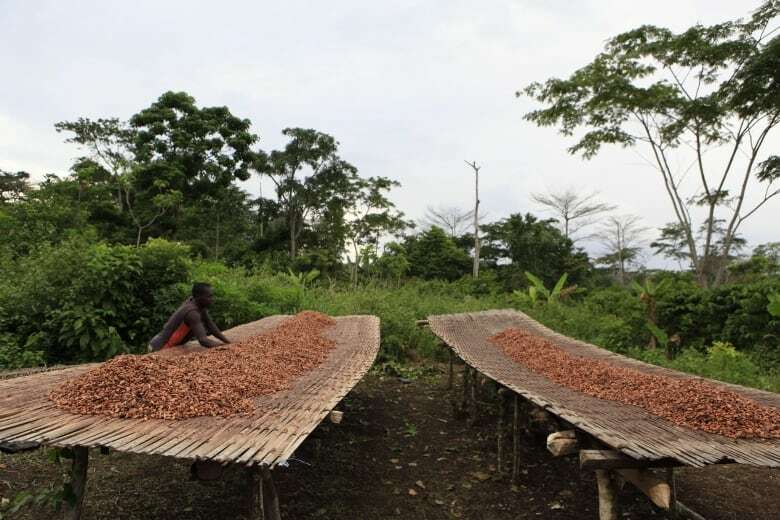 "It's very hard to link a specific batch of chocolate or cocoa to deforestation or the lack of deforestation because we don't know where exactly they are farming," she said. "The first steps [to sustainable chocolate] is having supply chain traceability," Carodenuto said. That's not just limited to the farmers though. "We need to try to address the large brand names so that the average consumer can then be able to know where's their chocolate coming from," she said.